Marin Acupuncture Clinic is a holistic Chinese medical practice, located within the world-renowned Pine Street Clinic, in San Anselmo, CA. We use gentle and natural therapies to alleviate your pain, restore your health, keep you well for many years to come, and provide you with quality alternatives to mainstream medical care. Health Insurance, Personal Injury Cases, and Worker’s Compensation Accepted! Have your plan verified for acupuncture coverage! Lindsey Koelman, acupuncturist and clinic director, is known for her comforting bedside manner, painless needling, and thorough treatment protocols. She has been nominated several years in a row as “Best Acupuncturist” in Marin for her work in women’s health and prenatal care. She has 15+ years delivering integrative and empowering healthcare. 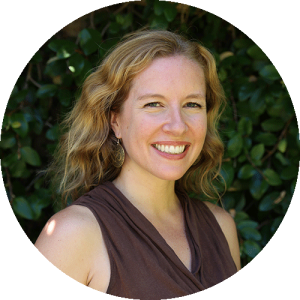 As an accomplished student, teacher, researcher, and clinician, Lindsey has devoted her life to assisting others on the path to wellness and advancing Chinese Medicine in our modern world. We invite you to give us a call for a free, 10-minute phone consultation to determine if we’ll be able to help with your health complaint. If we’re not the best fit, we’ll assist you in finding another provider.